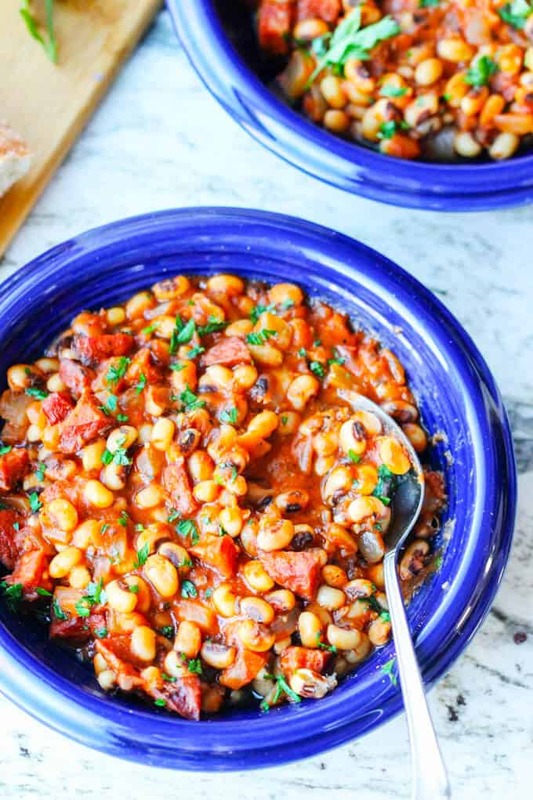 Breton Beans (Fasolka po Bretonsku) with Kielbasa and Tomatoes is a super comforting dish for these cold winter days. Use black eyed peas to welcome New Year the traditional way. Breton Beans, or in Polish “Fasolka po Bretonsku”, is a very popular dish in Poland. However, I don’t think it originally comes from Poland. 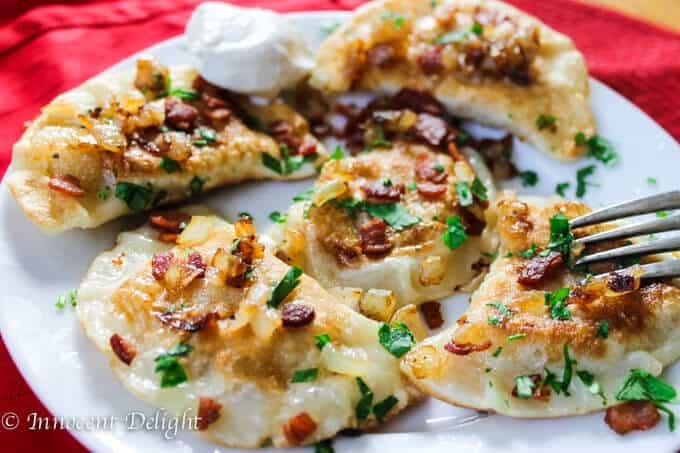 Based on the name I have to assume that it comes from Brittany, but because it is so widely served throughout, I can honestly say that it is a traditional Polish dish. 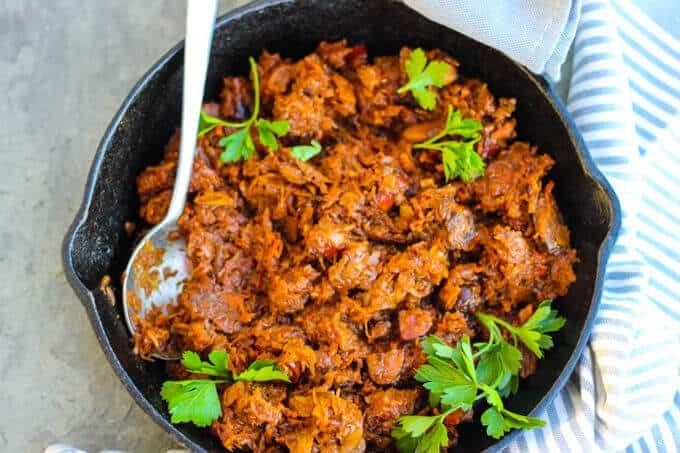 I often receive lots of requests to put more Polish recipes; so here is yet another one – a very popular Breton Beans recipe. For the original Polish Breton Beans I would suggest using large white beans which you soak over night and then you cook the next day for at least an hour and a half. I assume these are the preferred bean because they’re the most abundant in Poland. 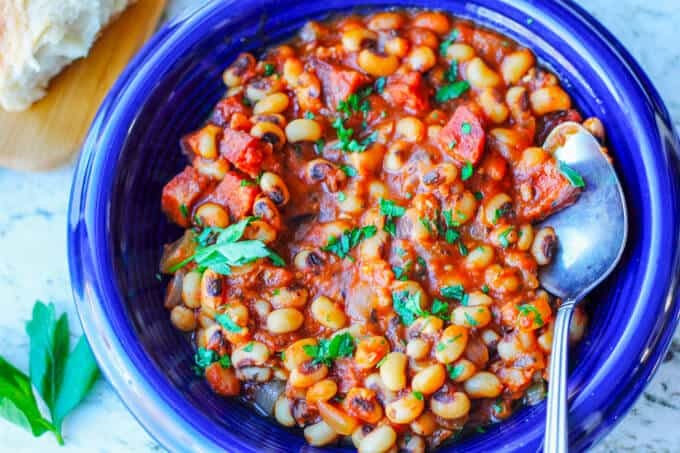 But this dish is so versatile that you can really use any type of beans you’d like. 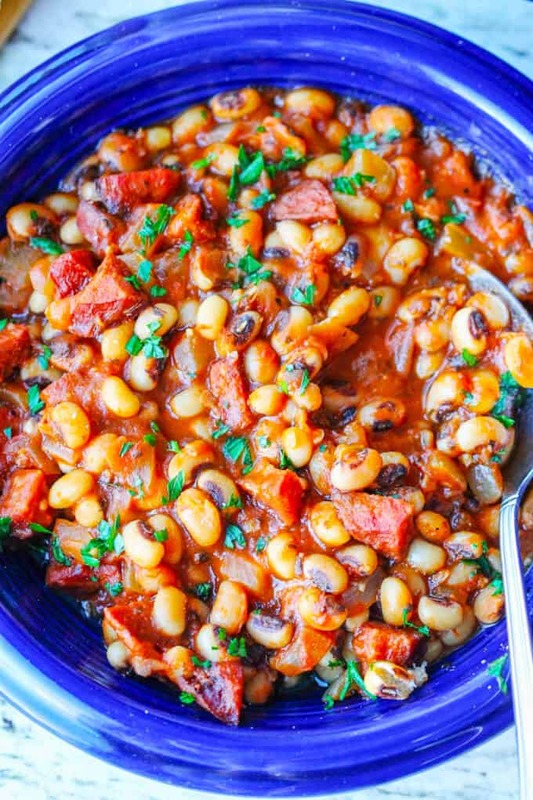 I decided to use these black eyed peas and served it for dinner on the New Year’s day. Despite their identity crisis …. black eyed peas are actually beans. And apparently there’s a tradition to eat black eyed peas on New Year’s day. I thought it was just a Greek tradition, but I have just learned that it’s also a southern tradition. 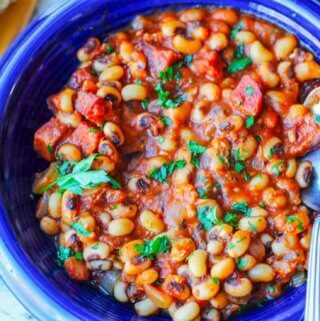 It’s believed that eating black eyed peas will bring prosperity in the New Year (who knew?). Well, I’m all for prosperity, so I decided to give it a try and I promise to circle back at the end of the year and either confirm or debunk this superstition. In Poland we don’t really have a special dish for the New Year, but obviously some countries do. In fact, my Hungarian friend asked me about it the other day, and she told me that their tradition is to eat lentils. I found it fascinating and decided to do some research into these New Years culinary traditions. And so it was that that we ended up eating black eyed peas last night. 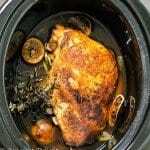 Or you can make a shorter version and use canned beans instead of dried. 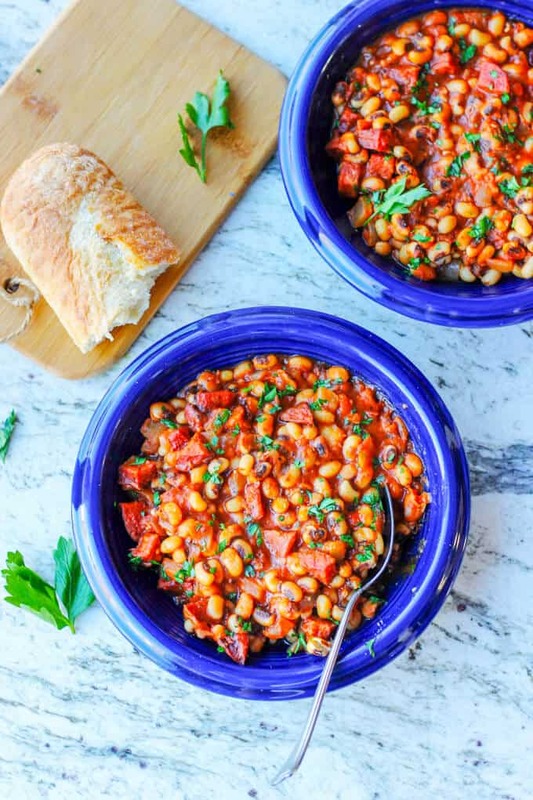 I serve this Breton Beans dish with a crusty bread. You can make your own homemade crusty bread. It’s super easy and delicious. Or you could also serve it with a side of rice. If you are interested in a history of black eyed peas on New Year’s day, this article can give you some more information. And if you want to cook some real Southern black eyed peas, I found this recipe interesting. Do you have any traditions for New Year’s Day? What was served for dinner in your house? Add beans to a bowl and cover with lots of water and soak overnight. Add onions to the same pan; if needed add extra fat; cook until golden and soft, for about 3-4 minutes; add garlic and cook for another minute. Check for seasoning, add more salt and pepper if needed; optionally add pinch of cayenne for some heat; sprinkle with fresh parsley and serve with crusty bread. Do not add salt to the pot with beans until the beans are fully cooked. The salt would prevent the beans from becoming soft. The total prep time for this recipe does not include overnight soaking of the beans. 1 cup of dried beans will produce approximately 3,5 cups of soaked beans. You can simplify the process and use canned beans (2 cans of any beans); rinsed. Fry sausage, onions and garlic, add tomatoes and spices and 2 cans of beans. Add water if needed and adjust seasoning. 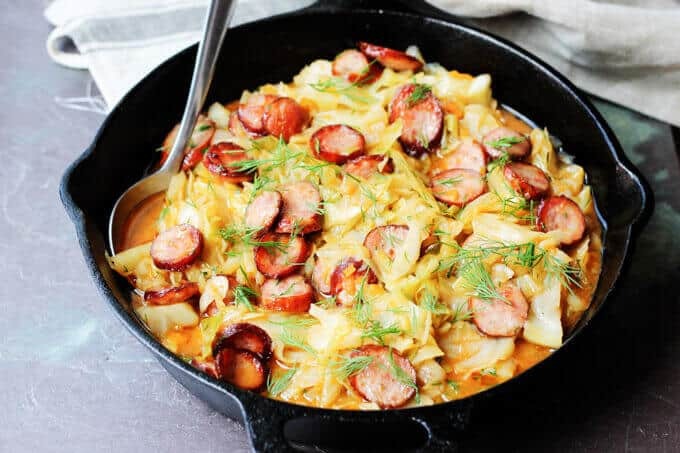 Looks delicious – I loved kielbasa!!! 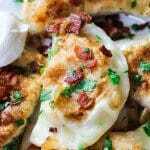 and now i have to try your pierogies too! I was just thinking of making beans with sausage for supper! It is so warming and filling. 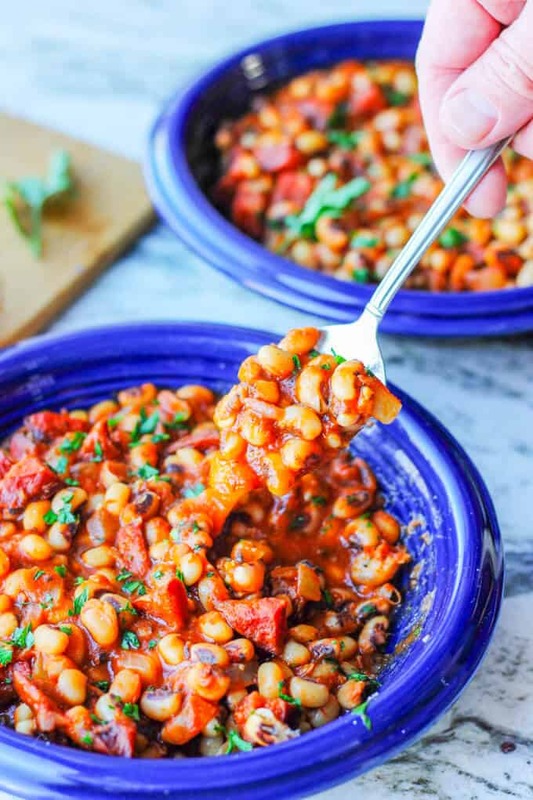 Love how versatile this recipe is and that there is a vegan option! 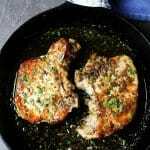 My husband would really love this for dinner! Thanks Jessica, It is very versatile and it can be done vegan. 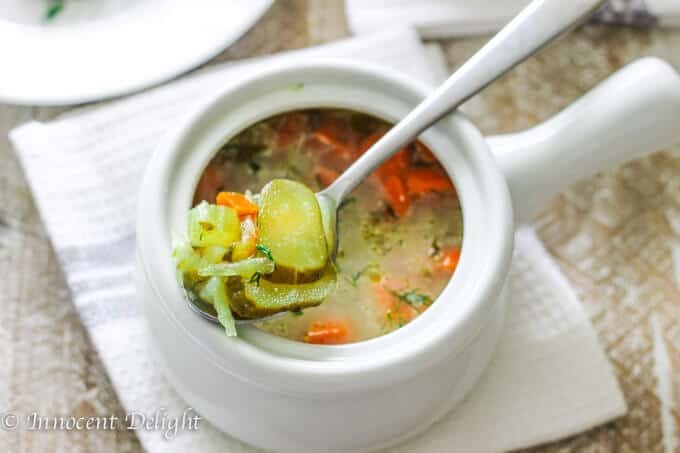 You can even add different kind of beans or lentils. Black eyed peas are a big tradition for the New Year in the South. I always make Hoppin John, but this looks mighty tasty too. I would love to try Hoppin John! Oh my! I could go for a dish of that right now! And, I’m southern and didn’t realize the black eyed pea tradition for New Years was practiced anywhere else. Interesting.